We found 0 verified Japan Crate promo codes for April, 2019. There’s no Japan Crate coupons or discounts right now, but sign up and get notified as soon as one becomes available. 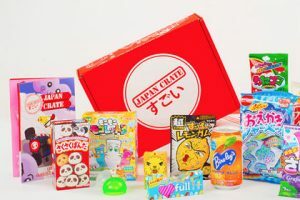 Japan Crate is all about the Japanese culture, offering its subscribers a chance to explore Japan through “fun candy and everything kawaii.” Apart from the candy, each monthly box contains a manga-zine booklet with custom mangas (with translation) and instructions for that month’s photo contest. Read more in our detailed Japan Crate review.